Our staff frequently meet with clients and their accountants to plan business transactions and operations in a tax efficient way. The result of such planning may lead to changes in business operations, tax free spin-offs of business divisions, mergers, more formal contracts between related entities, use of new or different business entities, etc. Once a plan is developed, our staff prepares all documents needed to implement the plan. 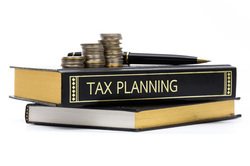 Our goal is not to complicate our client's business structure, but to insure that it is accomplished efficiently and with the least, adverse tax cost.